We recently had a walk-in shower (tub replacement) installation completed. 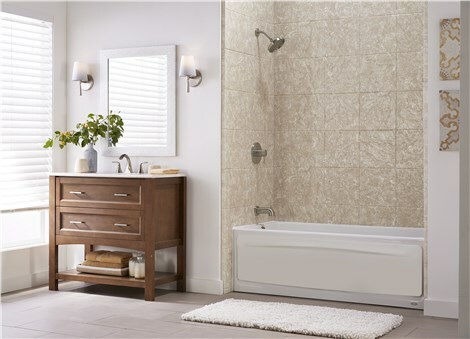 We are a senior citizen couple who was concerned with the safety issue regarding stepping over a tub in order to shower, so we contacted and ordered a replacement shower to be installed. The job from start to finish was a pleasant experience. The salesman Wayne Johnston was informative without being high-pressure, and the two gentlemen who came to install were polite, efficient and pleasant to work with. I would recommend Tiger Bath Solutions to anyone interested in having this type of bath remodel. Thank you for your service.